Discussion in 'Credit, Debt and Collection' started by Moose08, Aug 19, 2018. I recently became aware that my father opened a DirecTV account using my name and ssn. He passed away in January. DirecTV sent the account to collections due to nonpayment for obvious reasons. My mother had to move out of their house immediately following his passing and was unaware of the situation. I've thankfully never had anything like this happen before (to my knowledge), so I really have no idea where to begin to dispute the charges. I spoke with someone from directv who confirmed that it was not my phone number or email address used with the account. He also confirmed that at no time was I the one to call about any concerns with service. However, he told me that once they sent it to collections there was nothing they (directv) could do. Is that true? I read somewhere that one of the first steps was to file a police report against the person, but how does that work if they're deceased? Not that I want to do that. Any advice on moving forward would be appreciated. You start by filing a police report for identity theft, even if the alleged thief is deceased. If you don't, you'll be hounded for a very long time. Make the identity theft report and obtain a report number from the police. On your credit reports you can also enter a statement regarding your accounts. You are limited in space. Give a brief explanation of the delinquent account so creditors can see it when/if you apply for credit and the delinquent account still shows up. You are not obligated to pay the delinquent account unless the matter goes to court and you are ordered to pay, however if it is a relatively small amount it will be much easier for you to simply pay the amount on the WRITTEN agreement that the creditor will immediately remove the fraudulent/delinquent account from your credit report. Yes, the creditor at this point is the collection agency. Do not rely on any agreement that is not put into writing. I received a phone call from a company called something and Associates and it was regarding oweing a bank from year 2006. The man left me voice mails threatening to file paper work to have me charged with bank fraud or bank overdraft. I even ask him why did it take over 11 years to notify me I never applied for a bank loan or remember anything. He even named my ss number,phone numbers and address to prove he wasn't a scam after I called him to see what the problem was and he said if I pay him now $531 instead of the $2000 I supposedly owe that I wouldnt be charged with a felony. He said i see you don't have a record but if you don't pay $531 you will be charged with a felony and I will file paperwork and have you subpoenaed back to KY. Than he said hold on let me stop the paper work from going to the court house. Than he proceed to ask we could I pay. What should I do. Is he real? Should I pay him over the phone? Before he hung up the phone he gave me his full name and the company he works for. What should I do. Just pay him? Hire an outside Attorney? Hi, I received a phone call from a company called something and Associates and it was regarding oweing a bank from year 2006. The man left me voice mails threatening to file paper work to have me charged with bank fraud or bank overdraft. I even ask him why did it take over 11 years to notify me I never applied for a bank loan or remember anything. He even named my ss number,phone numbers and address to prove he wasn't a scam after I called him to see what the problem was and he said if I pay him now $531 instead of the $2000 I supposedly owe that I wouldnt be charged with a felony. He said i see you don't have a record but if you don't pay $531 you will be charged with a felony and I will file paperwork and have you subpoenaed back to KY. Than he said hold on let me stop the paper work from going to the court house. Than he proceed to ask we could I pay. What should I do. Is he real? Should I pay him over the phone? Before he hung up the phone he gave me his full name and the company he works for. What should I do. Just pay him? 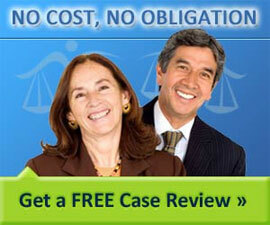 Hire an outside Attorney? No one goes to jail or prison in the USA for owing a debt, especially an old debt. Don't communicate with debt collectors, block them, never discuss ANY financial business over the telephone. Don't accept certified or registered letters or mail, unless you know the sender and are expecting the correspondence. Block that scammer's number, never speak to the SCAMMER again. Because you spoke with a SCAMMER expect SCAM related activity to ramp up. I suggest you BLOCK all numbers you don't know this afternoon. If you don't your phone will ring like the local dope dealer's or streetwalker's. They know a person responded, listened to their lies, so they'll keep trying to scare money out of you for a debt you no longer owe. Be proactive to avoid being scammed. OK I will block them from calling me. I was scared when he said he will contact the sheriff in my state to have me subpoena back to KY if I don't pay what he requested. I haven't lived in KY since 2006. And my credit reports are clean. Thanks again. Yes, that is a common tactic. I only accept calls from people I have in my contacts. Callers and scammers NOT in my contacts are immediately blocked. You might want to consider this tactic for 3 or 4 months, until the activity ceases.